...and Voice of the Employee. 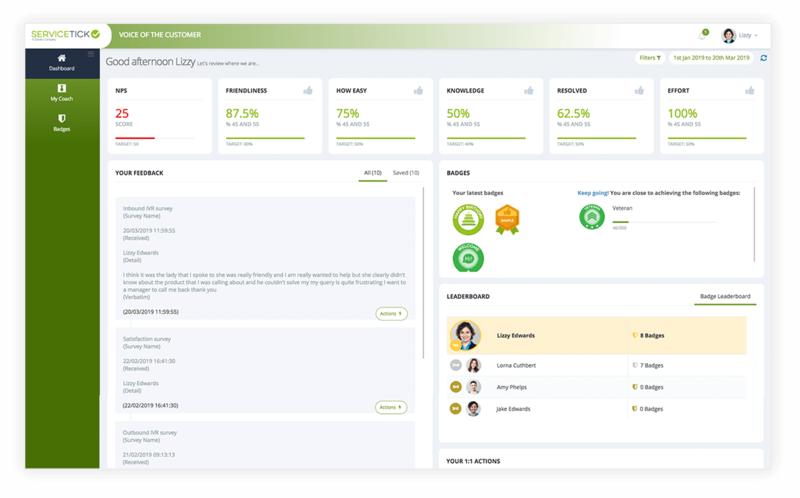 Relevant feedback (tailored to each level of your business hierarchy) is presented on our online dashboard. It can be viewed by anyone with appropriate access authority delivering insight directly into the hands of those who need to take action. 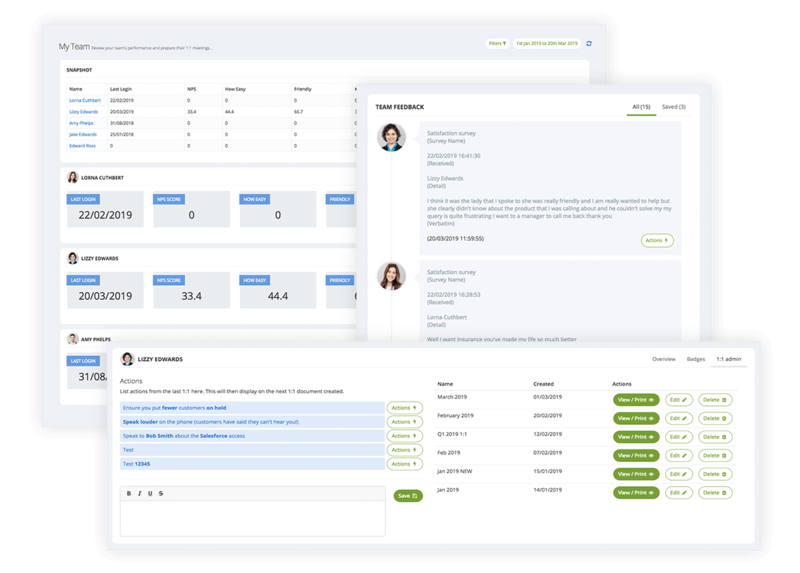 Our platform empowers and rewards frontline staff. Staff can see their results in real-time and can be automatically awarded digital badges based on what customers are saying. They can also use our 1:1 feature to prepare for their performance review meetings. It helps Team managers manage their teams. 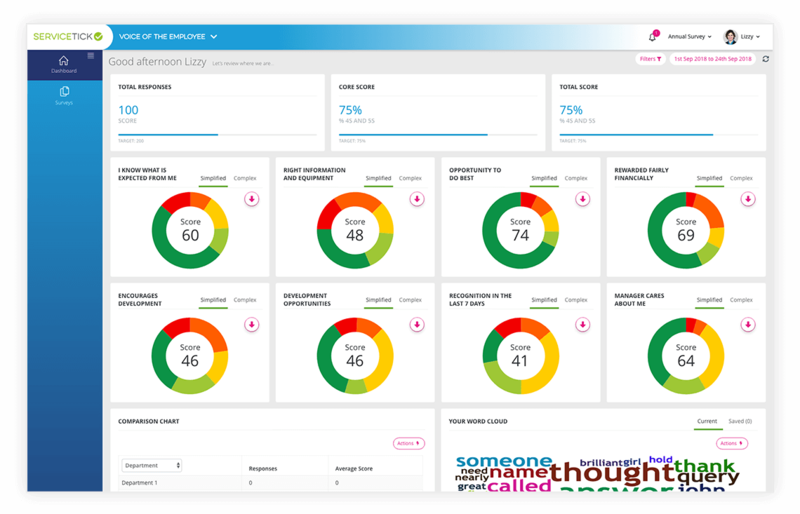 The 'My Team' feature allows Team managers to track the performance of individuals in their team and manage actions they want the team members to undertake. 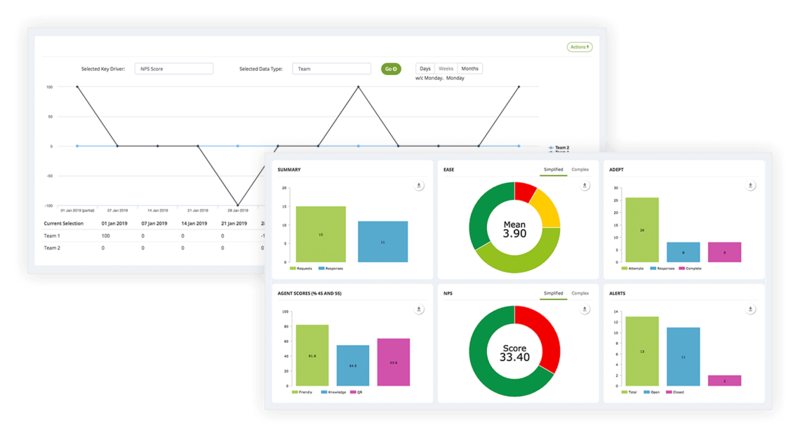 Our online platform includes a range of different bespoke reports ideal for analysts to perform company-wide reviews. Our click-through feature allows you to get to the heart of feedback with one click. ...and is driven by our survey technology or any data source. We gather feedback via IVR (automated telephone survey), email, SMS, web, webchat, and in-app surveys. We can also import any 3rd party data that can connect to our robust APIs.